Dr. Donald Tashkin graduated the medical school from the Perelman School of Medicine at the University of Pennsylvania and soon after that he did his internship at the Albert Einstein Healthcare Network. He completed two residency programs, one at the UCLA Medical Center and the other at the Albert Einstein Healthcare Network. Dr. Tashkin is specialized in pulmonology and also board certified in pulmonary disease and internal medicine. 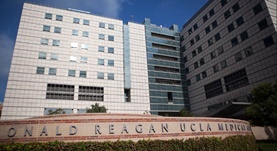 He has been practicing medicine for more than 20 years and is affiliated with the Ronald Reagan UCLA Medical Center. During his career, he has contributed to several publications of medical interest. Dr. Donald Tashkin has contributed to 3 publications. Putcha, N.,Barr, R. G.,Han, M. K.,Woodruff, P. G.,Bleecker, E. R.,Kanner, R. E.,Martinez, F. J.,Smith, B. M.,Tashkin, D. P.,Bowler, R. P.,Eisner, M. D.,Rennard, S. I.,...; Thorax. 2016 Mar 11. The safety of anticholinergic bronchodilators for the treatment of chronic obstructive pulmonary disease. Tashkin, D. P.; Expert Opin Drug Saf. 2015 Sep 25. Douglas, I. S.,Albertson, T. E.,Folan, P.,Hanania, N. A.,Tashkin, D. P.,Upson, D. J.,Leone, F. T.; Ann Am Thorac Soc. 2015 Nov 06.